WASHINGTON, D.C., Dec. 1 (SEND2PRESS NEWSWIRE) — The Gingrich Foundation has designated the Alzheimer’s Association as part of the Gingrich Foundation’s Charity of the Month program. Each month the Gingrich Foundation selects a charity, which is recommended to over 700,000 readers of the Newt Gingrich Human Events weekly newsletter and posted at both Newt.org and GingrichProductions.com. Readers are encouraged to donate to the charity. 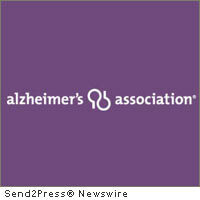 The Alzheimer’s Association is a donor-sponsored charity founded in 1980 to overcome Alzheimer’s disease. More than 5 million people suffer from Alzheimer’s in the United States, and by 2050 there will be nearly 16 million Americans suffering from the disease – the sixth leading cause of death in the United States. Today there is no treatment to cure or even slow the disease. As the largest private funder of Alzheimer research, the Association dedicates no less than 72 percent of its national organization’s funds directly to Alzheimer’s research, advocacy, and support. Since its inception, the Alzheimer’s Association has been the leader in Alzheimer awareness, promoting and funding innovative research, prevention, and care. Currently, the Association is working to advance policy priorities aimed at ending the disease. Donate to the Alzheimer’s Association: http://www.alz.org/join_the_cause_donate.asp . Original Keywords: Washington DC Newswire, District of Columbia, Newt, Alzheimer awareness, Callista and Newt Gingrich, Alzheimer’s Association, D.C., Robert J. Egge, sixth leading cause of death in the United States, research, advocacy, and support Gingrich Foundation Washington District of Columbia WASHINGTON, D.C.
REFERENCES: General Editorial News, Washington DC Newswire, District of Columbia, Newt, Alzheimer awareness, Callista and Newt Gingrich, Alzheimer's Association, D.C., Robert J. Egge, sixth leading cause of death in the United States, research, advocacy, and support Gingrich Foundation Washington District of Columbia WASHINGTON, D.C.